What other visitors have said about this site. The following visitor comments are collected from several pages of this website and some from emails I received from comment forms. I am very thankful that visitors took time and effort to write me these comments. Visitor comments help me work harder toward improvement of this website and I welcome all comments (positive or negative). You can leave me a comment via Facebook feed below or use a contact form at the bottom of this page. "Good Morning, Thank you for responding so quickly. I'm thrilled to read that you are putting together a vest to match the skirt. I have 4 grandaughters, ages 12 mos. to 8 yrs. old and am always looking for patterns to make them a surprise. The skirt was so much fun for me to make that I've decided to make 2 more since 3 of the g-girls are in 1 family. Hopefully I will be able to finish them by the fall. Thanks, again and have a great day. " - Kathy, USA. "Thank you so much for your speed of light reply. I thought I would have to wait a few days to work on my scarf, but you replied almost instantaneously! And your answers were very clear; I've already gone back to my scarf and am continuing, quite anxious to know what it's going to look like.Thank you again and I hope you had a lovely holiday. Take care" - Calder, Canada. "I went to your website and I have to say I just loved it. The work you have put in on that is amazing and the site is gorgeous. very interactive and a lot of tools to help knitters or knitter want to be's. Great job!!" - Squidoo LensMaster, USA. "Hey! I just wanted to tell you how awesome your site is! I'm really excited because I *FINALLY* mastered the long tail cast on method thanks to your tutorial! You ROCK! :)", Nikki, USA. 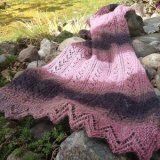 "I am new to this site and so far I am liking it, I am also new to knitting and was looking for a site one site to give me guide lines on how to knit right and neat. and I think I just found my site. THANK YOU." - Texas. "I just love what you have on knitting and the how to knit and all the diffrened patterns ext." - South Africa. "This scarf looks great but I really hated it that it printed on SIX sheets of paper. Why not have ONLY the pattern PRINT out instead of all the other stuff that does not matter to me at all? What a waste of my LASER paper and ink! This site needs to be more conscious of WASTE when giving patterns out." - USA commented on Lazy zigzag scarf. "I have just jumped into your website from Knitting Paradise.com because I have been searching for a way to do ruffles on my Toyota 901 knitting machine and caught myself going to other areas and forgot what I was searching for. What a great website you have. Thank you for giving me the opportunity to surf on other sites and blogs. It was fun." - California. "Great site, worth a visit!"